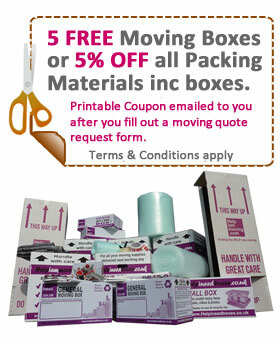 Moving House Removal Quotes from moving companies? We supply FREE Moving Removal Quotes from removal companies in UK for people moving house, moving office, moving flats or just moving and relocating within, to or from the UK. Moving House can be stressful. We will guide you in giving the right information on a form that we send to removal companies willing to give you a help, advice, guidance and a realistic cost for you to move house successfully. This way you can save money when moving. Otherwise a fixed price will only result in you paying over the odds on moving day or additional charges when you move house or flat. Moving-Quotes.co.uk works on the principal that , you fill out one of our forms and we then pass this information on to removal companies in your area so they can give you an accurate removal quote. Please note we only use the information supplied to pass on to removal companies. For them to give you an accurate quote we do ask you to take a little time to fill in the forms. We know that forms are dreaded things but at the end of the day an extra couple of minutes to make your life less stressful isn't a lot. We have tried to make the forms as user friendly as possible by talking to the removal companies and visitors. We have designed the forms by finding out what is and isn't working. All rights reserved. Reproduction in whole or in part in any form or medium without express written permission from moving-quotes.co.uk is prohibited.